Amazing - Haidji - Books...and...Books! 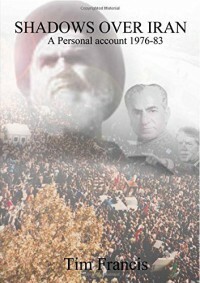 This is not the usual book about Iran -- this is a book about life, decisions and the consequences of it. It is about the courage to commit 100% to love and ideals, and jump into it with all it takes, without any expectation of reward. It is about the naivety of young adults jumping into cold water without knowing the deepness of it or if there are fish, shells or monsters there. The author found all species of things under the surface in Iran. He describes his life in Iran with clarity and impartiality, giving you the opportunity to see different points of view, different cultures and different people, during a critical and dramatic period of time in Iran's history.